Looking to outsource your order fulfillment? Online trends toward faster and cheaper delivery are just two big factors supporting inventory localization. However, for small to mid-sized merchants, placing inventory within a two-day ground shipment of your customers may be difficult to accomplish. The following 5 factors will help you choose the best fulfillment partner to surpass your customers’ expectations. In today’s complex omnichannel world, technology is the cornerstone for success. If you’re an online merchant, your order fulfillment partner must provide technology solutions that offer the visibility and functionality you need to run your business effectively and efficiently. 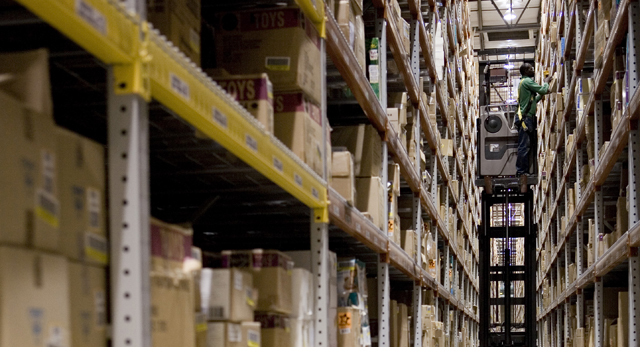 Flexible Order Management Systems (OMS) and Warehouse Management Systems (WMS) are keys to your success! These systems should be thoroughly evaluated to ensure they meet all the requirements of your omnichannel strategy. In assessing the technology solutions offered by your e-commerce fulfillment partner, ask yourself: Do they allow you to manage all of your sales channels? Do they provide a consistent consumer experience while simultaneously improving order accuracy and the efficient processing of orders? Just like e-commerce retailers, fulfillment companies tend to focus on specific industries or types of businesses (e.g., apparel or electronics). Being cognizant of a third-party fulfillment provider’s experience with specific solutions will help ensure that you partner with the one that best fits your requirements. Who are your current customers, and can you provide references? Can you scale to meet my business needs? How? Do you have multiple fulfillment locations to provide inventory localization (reducing costs and accelerating delivery)? What quality control measures do you take? Compare SLAs for all aspects of your fulfillment program including receiving inventory, processing orders and shipping. Insist that your fulfillment partner provide statistics on the percentage of orders shipped same-day, order accuracy and inventory shrinkage. SLA reports should be provided regularly so you can hold your fulfillment partner accountable for their service levels. Consumer demand requires flexibility when it comes to shipping options. It’s important to ensure your fulfillment provider can meet the current—and future—demands of your customers by offering them a variety of shipping options. This includes offering both domestic and international delivery options that meet the needs of consumers who need almost instant gratification, as well as those who are simply looking for low costs. Shipping rate-shopping capabilities—a feature offered by most good WMS solutions—can determine the lowest-cost shipping method for each individual package, taking into account many factors including size and distance, and allow you to provide your customers with their desired delivery times while saving thousands of dollars in shipping charges. To effectively manage your customers’ experience and your e-commerce business, you need reporting on all areas of your fulfillment program including inventory levels, operational processes and performance metrics. Access to your data when you need it is imperative for making fast and fact-driven decisions that will positively impact your business. As you can see, a fulfillment partner impacts many aspects of your business’ overall success, and proper due diligence is key to making your selection. For more information on order fulfillment services from DHL eCommerce, click here.